Buying an inexpensive road bike can be a challenge, but here are a few ways to get a great deal. A little searching at bike reviews and articles for “affordable” bikes will land you some interesting results. Apparently, affordable means spending at least $1500 but less than $2500. That may be fine for some riders, but there are plenty of us out there who know the true meaning of “affordability.” So for all you wallet-conscious roadies out there, we’ve been building our Budget Cycling category with tons of tips and guides to getting a good deal on new and used cycling stuff. Today, we’ve got the most requested guide for you: How to Buy a Road Bike on the Cheap. First, let’s start with a little advice on what not to buy. Any cheap Schwinn you see at Wal-Mart rolled back to any price is not worth it. Although these sub-$200 road bikes might seem tempting, you’re really not getting much value for your cash. What you will get is a cheaply made, incorrectly assembled, ultra heavy (and we’re not just being weight weenies about this), non-standard bike with parts that will be a pain to find/replace when they do break. So we’re not just being snobby when we avoid the bike aisle at Target–we’re saving money. And yes, we’ve looked through the stock at Amazon.com, and we’re sorry to say that’s a waste of time and money too. So the rant is done. Now what? Also, if you’re really in the market for your first road bike and don’t quite know what you’re looking for, you might like our long-winded article with some tips for buying your first bike. There’s nothing wrong with the low-end bikes of major manufacturers (or many low-end bikes of smaller manufacturers). Although some of the groupsets may not be as reliable, some of these are fantastic value and just plain good bikes. Here are several we like (and a couple we’ve owned ourselves). But one caveat, the prices here are the manufacturer’s suggested retail. 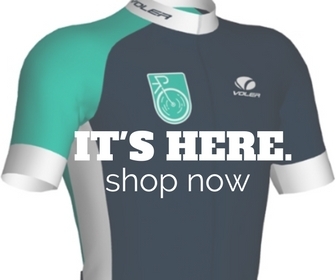 It’s quite likely that your local bike shop will sell these for quite a bit less–especially if they’ve got last year’s model hanging around. Those are mere ideas. All great bikes. All will get you a decent start on the road, and should last a long while. But I know what you’re saying, those are all close to $1,000! Right? Well here’s the deal. Don’t pay that price. 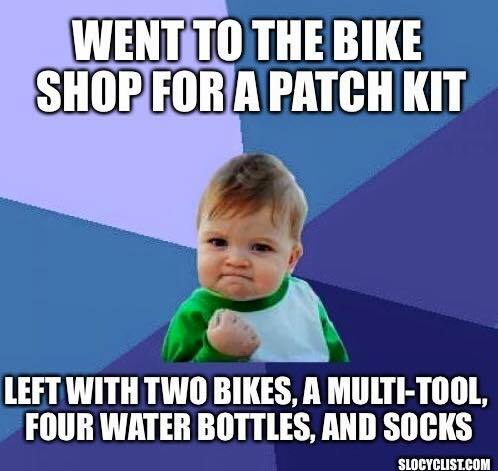 Definitely go to your local bike shops and see what they have. For instance, a few years back, I bought a brand new Specialized Allez at Art’s Cyclery for $500. Our editor-in-chief bought her Cannondale R500 new for $400. It can be done. Just keep the patience high. OK, maybe not a single speed . . . .
1. Don’t be afraid of a classic. An old school Cannondale, Bianchi, Trek, or other quality bike that was good enough for the Tour de France 10 years ago will definitely take you a long way these days too. We’d recommend buying a bike that was once mid-range to high-end in order to get the best bang for your pedal stroke. Bikepedia.com has tons of info on all sorts of makes and models, original prices, and stock components. Before you buy any bike, do your homework first. Now where can you find speedy old bikes? Well, if you have a local Bike Kitchen like we do here in SLO, you’ll easily be able to grab a decent road model for around $100. You might also want to check out our classic article on why finding an older bike is actually quite a lot of fun. But if you don’t have an organization around you like the Bike Kitchen, your next best bet will likely be places like . . .
2. Craig’s List, which is a great place to find a used bike as long as you’re careful. In fact, we’ve put together an extensive guide on how to buy a used bike on Craig’s List (or any used bike for that matter) that should help to ensure you don’t get taken. But do remember to stay safe when dealing with strangers, and it’s usually a good idea to do a quick search at Bike Index to make sure that ride isn’t stolen. 3. Don’t be afraid to buy old stock. Just because a bike has been at your LBS for a year or more doesn’t mean it’s rotted away. 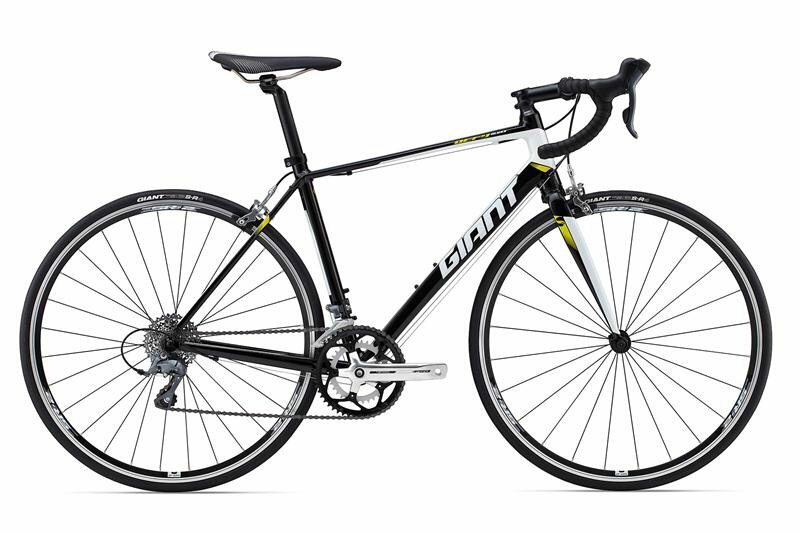 Last year’s model or a demo bike can sometimes be a fantastic value. Don’t be afraid to ask the employees if they have any stock on sale–if you’re friendly and tell them you really would rather buy local than over the internet, they will often go out of their way to help. Our local bike shop, Art’s Cyclery, has hooked us up in the past. Check out their sale bikes here, and let them know we sent ya. 4. Buying online can sometimes be a good way to go, but know who you’re buying from. If you’re shopping at an online bike shop in Connecticut, that’s great, but do your homework on them before you shell out your cash. Also, be prepared to add an extra $100 or so in shipping–and make sure you’re OK with putting back together a somewhat disassembled bike. So that’s our guide. We hope it helps you find a sweet ride. 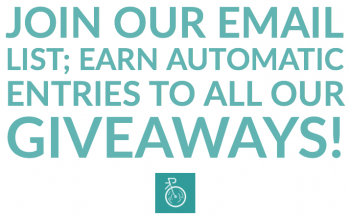 If you got questions or comments, let us know with a quick email or just type it below. This article was originally published on 7-28-2015, but we did some overhauling to make it better on 9-12-2016. Why? Cuz you’re cool, and you deserve it. Also cuz we were bored. Absolutely agree, I was able to get a $1,000 bike for $500 on closeout. Great article. Thanks for share. Thanks, Robert! Glad you liked it. Super helpful post on choosing a cheap bike . thank you for your informative post . keep it up . I have bookmark your website for future . I am a 57 old widower staying with my two daughters and I am looking for sponsor or a donation for a road cycle. I have started excersizing but I also need this road bike to enhance my exrcisize performance. Hello Amon! Do you have any local bike kitchens where you live? Often, these city-sponsored organizations have donation bikes that they fix up and give to people in need of solid bikes. Let me know what you find out! Good luck! 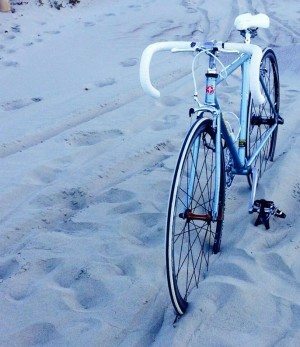 Very informative post about the road bike. I will try one for my everyday purpose. Thanks. My husband and I are new to cycling. Up til now, we’ve just been cycling on some local rails to trails and short (40 miles or less) charity bike rides. We both have Schwinn’s purchased from a local bike shop that was closing. After reading this article and also realizing we really enjoy cycling we are wondering if we made the wrong choice. We would like to participate in a couple of 150 2-day rides and a century. Will my Schwinn Voyageur and my husbands Schwinn Network 1 be good enough?